These three messages embodied the heart of what the Clinton campaign wished to convey to the country, which they did to the tune of a successful presidential election. How was the Clinton campaign able to convey its message so effectively? One reason was the rhetorical skill of the candidate himself. 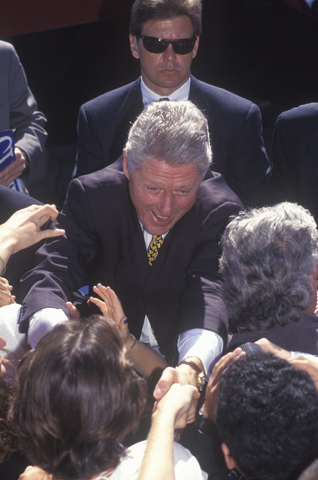 Regardless of political affiliation, almost no serious political observer dismisses President Clinton’s incredible political skills, and among the President’s most estimable political skills was his ability to pivot almost any discussion to one of his key campaign themes. Ask him about defense, and by the time he got to the end of the answer, he was discussing the economy. Ask him about western water rights, and he would pivot from that to clean water and then from clean water to healthcare. The ability to pivot is the ability to direct a conversation to where you want it to go, and accordingly, pivots can be one of the most powerful tools in a customer facing professional’s arsenal. But pivots must be used with care. Pivots can be done poorly. Poor pivoting is one of the reasons most politicians seem dishonest, and President Clinton’s pivots, though smooth, were often so smooth that they would infuriate his detractors — earning him the disparaging moniker Slick Willie. In a poorly done pivot, it is obvious that the person is not even attempting to answer the question they were asked. A masterful pivot is not about avoiding questions or accountability; a masterful pivot is about focusing the conversation on what is productive. In the case of customer service, many customer facing professionals lack the ability to pivot well. Why? Because they respond the way most conscientious people do, by trying to directly answer the question they were asked. If the question is a productive one (what are you going to do about this?) then pivoting is not necessary, perhaps some simple reframing will suffice. However, if the question is an unproductive one (is it your whole company or just you that’s incompetent? ), then pivoting can help you shift the conversation to more productive territory. This is a time pivot and is one of the most useful pivots when dealing with an upset customer. The customer is focused on what went wrong in the past; you want them focused on how it is going to be better in the present. When done well, pivots can be an effective tool in a customer facing professional’s toolbox. A great exercise for your team is to write down the top customer complaints your company receives and then experiment with different types of pivots to see which ones are most effective. Just remember, if you tell your customer “it depends on what the meaning of the word ‘is’ is,” you’re not pivoting, you’re avoiding the question altogether.